From heating and cooling installation to furnace and air conditioner repair in the greater Kalamazoo area, we can handle it. 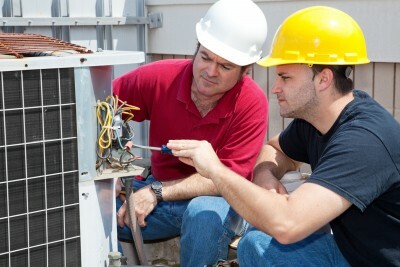 With Metzger's, you can be assured of getting top-notch HVAC service. Geothermal heating and cooling uses clean renewable energy while offering exceptional efficiency. New geothermal installations are also currently eligible for a federal tax credit of up to 30%. Bryant Factory Authorized Dealer means you get a written promise of 100% satisfaction. If you are unsatisfied with your new heating and cooling system, we will completely uninstall it for free! We offer commercial HVAC services in Kalamazoo and all surrounding areas, including 24-hour emergency service. We also carry a full line of commercial heating and cooling systems. Here at Metzger's, we've designed hundreds of ideal heating systems for families to save them money with efficient furnaces while giving them more comfortable homes. We carry a full line of quality Bryant furnaces to fit whatever size installation you may need, and we'll be happy to help find the right model for your home or business. Whether you need air conditioning repair or a new installation, give us a call and we'll do the job right. We carry a full line of air conditioners and will be happy to assist with finding the perfect model for you needs. Enjoy the hot days of summer to the fullest with those you care most about! Metzger's Heating and Cooling offers professional residential and commercial heating and cooling services on all brands of furnaces, air conditioners, heat pumps, thermostats, geothermal systems and fan coils for residents and businesses in the Kalamazoo, MI area. We can help you with service for all the popular brands: Bryant, Carrier, Lennox, Payne, Rheem, York, RUUD, Westinghouse, Tempstar and Trane. We specialize in installing Bryant HVAC systems. As your heating and air conditioning experts you will not only receive highly trained professional advice on your air quality needs, you will also find very affordable rates. If you are looking for maintenance, repair, replacement or new construction or remodeling assistance, we’re glad to help. 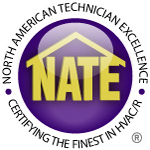 We want to be your heating and cooling service provider of choice in the Kalamazoo, MI and SW Michigan area. Healthy and comfortable living is our specialty. We are here to help you with accurate information, education on products that best meet your family or business needs. Each home or office is unique. We can customize a solution for you and your family.